I used to hate revising my stories. I was hooked on the thrill of capturing the idea on the page. Once I’d told the story to myself, I didn’t really know how to improve what wasn’t working. Over the course of many years, I have devised a system to dissect my story. I start with the big picture and consider plot, subplots, pacing and characters. Once I’m happy with the overall story then I review and edit my work chapter-by-chapter, scene-by-scene and ultimately I scrutinise every line and word. Review the big picture first. Don’t waste time line editing when you may end up cutting an entire scene or chapter. If you’ve polished a section of your prose until it sparkles, you will be less likely to cut it when you realise it’s not serving your story. Know what’s at the heart of your story. Write down a sentence or two that explains why you are writing this particular story – not the plot or theme but why this story is important to you and why you are the only person who can tell it. You may need to change plot, characters, setting, etc…but know what’s at the heart of your story and remain true to it throughout the revision process. Make an inventory of your story. Create a chart and in a sentence or two write down the action (what happens) and also the importance of each chapter – why is this chapter necessary? If you removed it, would the story suffer? Look at the pace of your story. Is every chapter moving your plot and subplots forward? If you are writing a funny story, put an asterisk by funny moments. If it’s a romance, where are the romantic scenes? If the story is a mystery or action-adventure, highlight where the twists and the surprises are in your story. Read the first and then the final chapter of your novel. Your first chapter promises a journey. Am I captivated? Does the final chapter deliver on the first chapter’s promise? I think the first and last chapters should have a resonance. Circle the verbs. Now read only the circled words. Do you have a sense of the action? Are your verbs working hard enough? Are there verbs you over use? Watch out for passive voice – there was, it is, etc. It drains the energy from your story. Proofread your story once from beginning to end then proof read your chapters out of order. Often I’m fatigued by the time I’m reading the final chapters so the next time I proofread, I start with the final chapter. Sometimes I read my paragraphs on a page out of order to look for spelling, grammar and punctuation errors. The most difficult thing about revision is knowing when to stop. I revise until I can think of no other way to improve my manuscript. Then I send it to my agent – and she always finds a few more opportunities for improvement. Then the process starts again. Sometimes it can feel unending, but I’ve already invested hundreds of hours in my story; what’s twenty or forty or even a hundred more? Sara writes and edits fiction for children and teens. 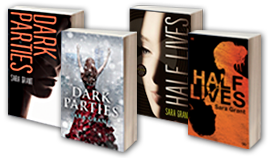 Dark Parties, her first young adult novel, won the Society of Children’s Book Writers and Illustrators Crystal Kite Award for Europe. Her next teen novel – Half Lives – is a story told in two voices from a pre- and post-apocalyptic time. 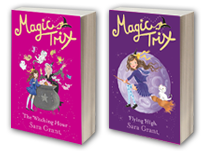 She also writes a funny magical series for young readers, titled Magic Trix. 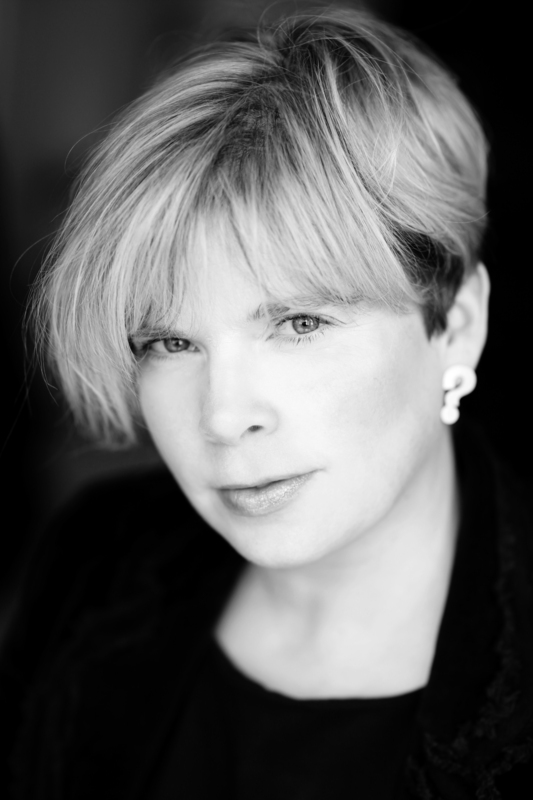 As a freelance editor of series fiction, she has worked on twelve different series and edited nearly 100 books. She has given writing workshops in the US, UK and Europe as well as guest lectured at the University of Winchester. She co-founded Undiscovered Voices – which has launched the writing careers of 26 authors, who now have written more than 120 children’s books. (www.undiscoveredvoices.com) Sara was born and raised in Washington, Indiana. She graduated from Indiana University with degrees in journalism and psychology, and earned a master’s degree in creative and life writing at Goldsmiths College, University of London. She lives in London. This entry was posted in Guest Bloggers and tagged edit, revision, Sara Grant, University of Winchester, writing by Litmus 2015. Bookmark the permalink. Some interesting revision tips here. I particularly like the idea of reading the chapters out of order when proof-reading. I find that I often read what I expect to see rather than what is there. Mixing things up should help keep me on my toes. This is great Practical advice – I particularly like the idea of reading chapters out of sync. Sara Grant, who wrote this fabulous article on revising your work in progress, is running a new Book Bound event in Edinburgh this September. For more information, visit https://bookboundretreat.wordpress.com/day-events/. It should be a brilliant event. If you go, please tell us all about it. Great advice Sara, thanks for sharing! Dang it, I really liked the first version you described better. Maybe if we could find the right bottle of magic champagne… No? Okay. You’re right: back to revising. P,S. Circling the verbs is a great idea. I’ll revise a chapter over and over, but it’s not until I’m reading it aloud to my critique group that I realize I used the same verb three times in as many paragraphs.